I was wondering how best to open this little overview of Rocking Horse, and hit a bit of a bump. I didn’t know where to start. I decided instead to go through the extensive photography archives, and found my starting point – I have very few pictures of the band. Why is this? Well – as much as I love taking band photos, nothing sells a place better than pictures of people having fun – and for every photo I find of the band, I end up with another 10 or 20 of people dancing, laughing, drinking and generally doing what’s meant to be done at the Bike’N’Hound. 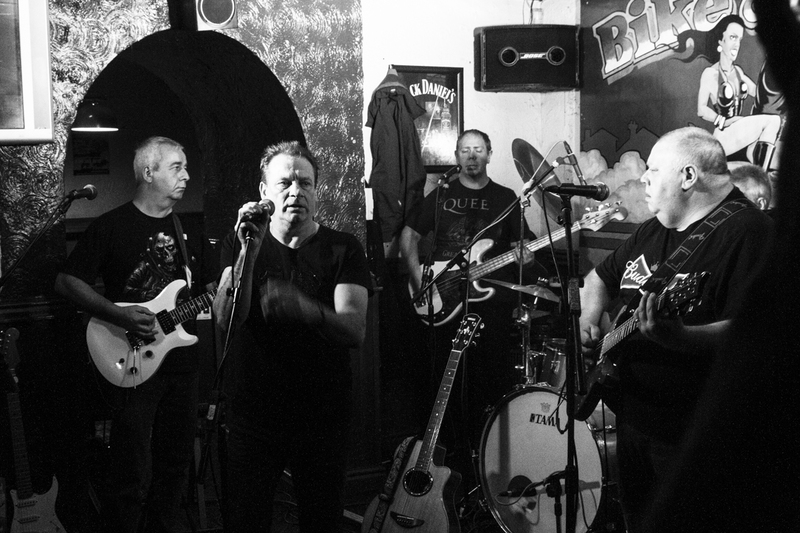 Great vocals, superb guitar, and a set list that reads like a who’s who of classic rock makes Rocking Horse one of the most entertaining and popular bands here at the Bike. AC/DC, Chuck Berry, Deep Purple, Clapton, Dire Straits, Jimi Hendrix, The Rolling Stones, Thin Lizzy, ZZ Top – these guys run the gamut, and do it well. Come down and see them for their next show – you won’t regret it.